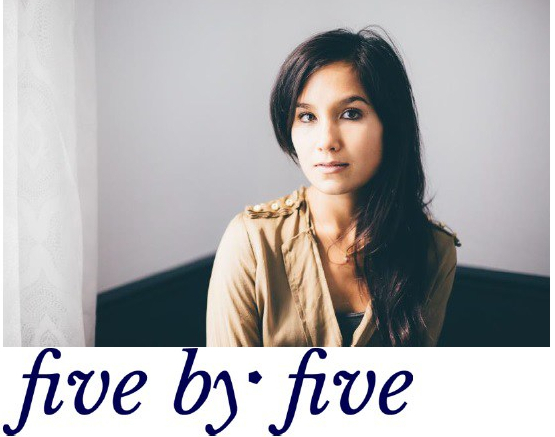 Introduction by Magda Kuczkowska (MK): Today, I’m very happy to speak with Pauline Pham, Vice President at Five by Five, an innovation agency that runs programs to accelerate transformation within big organizations. Our topic will be how to build an API culture within a large organization. Hi Pauline, thank you for accepting my invitation to be part of APIFriends, the Axway blog engaging with the API community from all over the world. MK: So, let’s get started. API Management has become a very critical topic in terms of digital business strategy adoption and enterprises’ transformation. 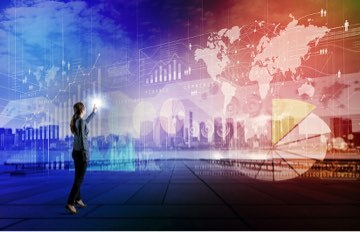 Tech-industry influencers agree on the role and value of the API economy since Application Programming Interfaces (APIs) have been elevated from development techniques to business-model drivers and boardroom considerations. An organization’s core assets can be reused, shared and monetized through APIs that can extend the reach of existing services or provide new revenue streams. My question to you is, why should we think about creating an API culture within an organization? Pauline Pham (PP): You are right, a growing number of large organizations are willing to seize the opportunity of platform models by building their API strategy. Unfortunately, as the law of large numbers teaches us, the bigger you grow, the harder it is to grow fast, and most of all, what got you here, won’t necessarily get you there. Banks and insurance companies know how to build financial products and provide banking services through their retail branches, but they lack competence in this new software-and-data-driven world. They are still learning how to build great digital products and leverage technologies to build their ecosystem. Building an ecosystem is a two-fold challenge for them. It means moving from a stick to the rule, from a risk-averse and closed business culture to a culture of constant experimentation with new partners and even third parties, for example, developers. It also means embracing diversity—seeking new talents and developing new software and design skills among their workforce. Designer and developers are the new bankers in a sense. Companies know they need to become tech companies, build APIs and great developer experiences, but going from the point of realization to a point of action requires a real change of culture: an API culture. MK: Sounds very interesting! 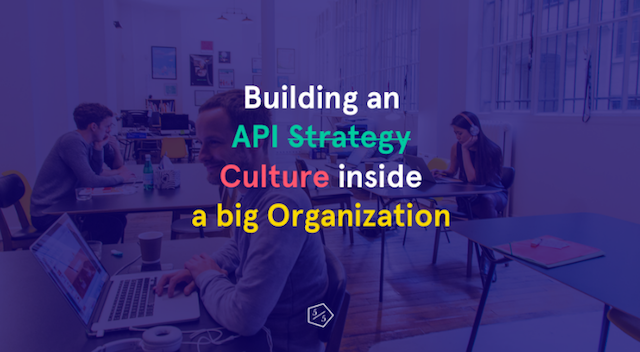 What are the key elements and steps to build an API culture? PP: C-level long-term commitment is definitely a key element to foster this change inside the entire organization. This commitment is a moral and resource commitment as well. Most of the big organizations operate on old IT systems, as you know even better than I do. The technological debt is important, and so is the “people debt” I would say, as we discussed earlier. In order to build the new foundational capability needed to transform their business, big organizations need to train their people: from their legal teams, which will have to write and approve new kinds of contracts, to the brand and marketing teams who will have to market those new tech products (APIs) like leading tech players such as those done by Stripe do, to the business teams who will have to design APIs as products, carefully checking they respond to real needs and provide a great experience. Then there are the IT teams who will need to work hand-in-hand with business teams, which is not currently the norm inside big organizations. They need to train their people so that a “shared language” eventually grows among the company to make sure everyone is aligned and looking in the same direction. When building a new business, any misunderstanding costs a lot. And when I say misunderstanding, I mean confusion between people, false expectations and an underestimation of the work and investment needed to build a product. Without this “shared language,” you understand how difficult it can be to design and then to execute any APIs strategy as well. MK: Based on what you explained, it looks like C-level personas engagement is critical. How can we persuade business decision makers that the cultural aspects of leveraging APIs are a must-have? PP: “You don’t know what you don’t know,” and this applies even more to big organizations engaged in digital transformation. Most of the people working and leading these big organizations are not as well equipped and experienced as people in tech companies. They don’t know about technologies, design or coding, as I said earlier. They hence don’t know what to expect, what the road map should look like or whom to reach out for help, whether that’s to hire new talents or recruit outside experts like us. That’s why we think about our client projects as political campaigns at Five by Five. We need to educate, evangelize and design experience so that our client realizes the way to get there. To do so, people who have done it already are key. That’s how our entrepreneurs-in-residence enter the game. They coach our clients with us and help them uncover any challenge by sharing their know-how, tools, tricks and experience. MK: Great, you shared a lot of inspiring thoughts. Could you share with us a real-life story of a customer interaction where you have helped build an API Culture? What was the key challenges and how did you address it? PP: Yes, sure! One of the key challenges we encounter at Five by Five when working with many of our clients is to deeply understand their internal mechanics, specificities and culture in order to adapt our tools and methodology to their needs. Most of the time, we play as hackers would create light tools to provide guidance throughout their journey. At the starting line, they don’t know how long and difficult the journey will be–and it might be better they don’t! And I like to say that we create an invisible map like the Marauder’s map of Harry Potter where we use to design and product discovery techniques to help them go through it. We also use branding and storytelling techniques a lot to help clients assimilate some new concepts faster. The first employee at Five by Five, after the two cofounders who started the company, was a talented graphic designer who is still our artistic director today, and he plays a great role in each of our projects to help us win the campaign! MK: Thank you very much, Pauline, for your time and all the valuable insights. Your ideas about the cultural aspect of APIs strategies will help Axway customers and partners in a big way! I wish you all the best and stay in touch.